LOS ANGELES -- Computer-driven cars have been testing their skills on California roads for more than four years - but until now, the Department of Motor Vehicles wasn't sure just how many were rolling around. That changed Tuesday, when the agency required self-driving cars to be registered and issued testing permits that let three companies dispatch 29 vehicles onto freeways and into neighborhoods. The cars are required to have a human behind the wheel in case the onboard equipment makes a bad decision. The Los Angeles Times reports that Audi snagged the first permit. These may be the cars of the future, but for now they represent a tiny fraction of California's approximately 32 million registered vehicles. Google's souped-up Lexus SUVs are the biggest fleet, with 25 vehicles. Mercedes and the Volkswagen Group of America have two vehicles each, said Bernard Soriano, the DMV official overseeing the state's "autonomous vehicle" regulation-writing process. A "handful" of other companies are applying for permits, he said. The permits formally regulate testing that already was underway. Google alone is closing in on 1 million miles. 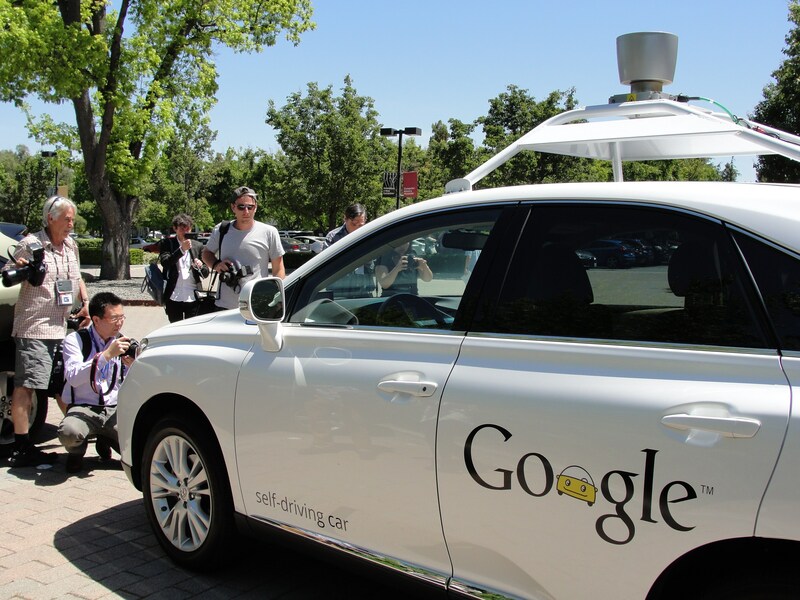 The technology giant has bet heavily on the vehicles, which navigate using sophisticated sensors and detailed maps. Finally, government rules are catching up. - Test drivers must have a sparkling driving record, complete a training regimen and enroll in a program that informs their employer if they get in an accident or are busted for driving under the influence off hours. - Companies must report to the state any accidents, as well as how many times their vehicles unexpectedly disengage from self-driving mode, whether due to a failure of the technology or because the human driver takes over in an emergency. They also must have insurance or other coverage to pay for property or personal injury claims of up to $5 million. California passed its law after Nevada and Florida and before Michigan. The federal government has not acted, and national regulations appear to be years away. It's impossible to know the total number of self-driving cars being tested on public roads because, unlike California and Nevada, Michigan does not require special permits to test self-driving cars on public roads. Toyota, Chrysler, Ford and General Motors are "all running around here with some form of autonomous vehicle," said James Fackler, assistant administrator for the Michigan Department of State, which registers motor vehicles. Carmakers do not need a permit - manufacturer's license plates are enough, and those plates can also be used on future models or other kinds of experimental cars. Nevada has issued several test vehicle licenses to Google, VW and the auto supplier Continental, according to its Department of Motor Vehicles. In Florida, only Audi has tested self-driving technology and no testing is ongoing, according to a spokesman for the state's motor vehicles department. With California's testing rules in effect, the DMV is drafting regulations that will govern self-driving cars once they are ready for the general public. Those rules, which the DMV must finish by year's end, will untie knotty issues such as whether a person needs to be in the vehicle at all.